Mauricio Pochettino has given five academy players the chance to impress in first-team training, according to Football London. The outlet claims that a handful of youngsters took part in the first-team training sessions, with a view to earning a place in the upcoming senior pre-season training camp in the USA. The five players selected were Oliver Skipp, Anthony Georgiou, Luke Amos, Kazaiah Sterling and Alfie Whiteman. 21-year-old Georgiou is a left-winger, who can also play left-back, who joined from the Watford academy in 2013 (TransferMarkt). Amos is a 21-year-old defensive midfielder who was on-loan at League Two side Stevenage last season, he made 16 appearances and scored two goals (TransferMarkt). Sterling is a 19-year-old rapid forward who’s represented England Under 17’s and Under 18’s (TransferMarkt). Goalkeeper Whiteman is 19-years-old and has represented England at youth level from Under 16’s to Under 19’s (TransferMarkt). The most highly regarded talent of all is 17-year-old Skipp, who is a defensive midfielder but can also play at centre-back and was a regular for the Spurs Under-23 side last season, making 16 appearances in the PL2 (TransferMarkt). It’s a great time to be a youth player at Tottenham, especially with Mauricio Pochettino as manager. He gives young players chances and allows them time to develop and make mistakes, which not many Premier League managers do. 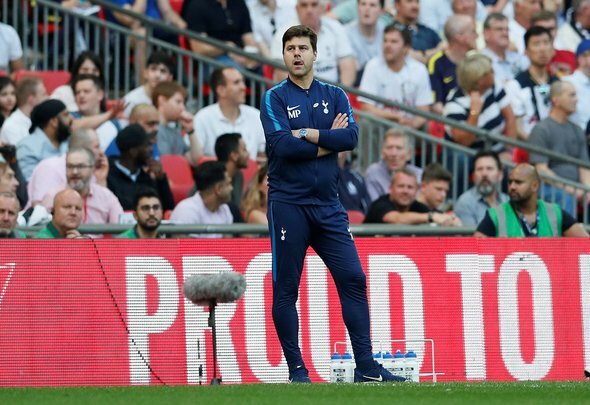 it looks like there are some exciting talents that are going to be coming through in the next couple of seasons, hopefully, the Argentinian manager will give them a chance to impress and earn a career at Spurs. Despite all of his injury problems last season, the clubs biggest prospect remains 22-year-old creative midfielder Harry Winks, who held his own in the Champions League against Real Madrid in the Bernabeu last season. If he gets more chances this season and proves his fitness, he could become a fixture in the first-team and become an important player for the England national team, such is his talent. England doesn’t produce many quality creative midfielders, but Winks is an exception.